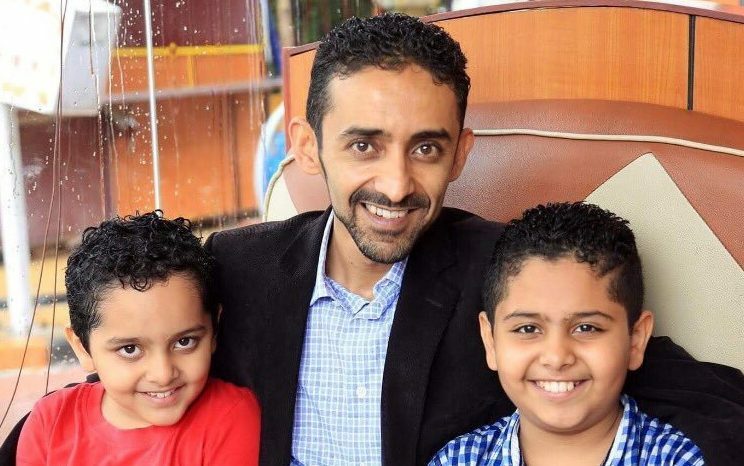 Yemeni blogger and journalist Hisham Al-Omeisy was freed and reunited with his family in Yemen on January 15, after being detained for more than five months by Houthi forces. Security officers from the Houthi-controlled National Security Bureau arrested Al-Omeisy in August 2017 in the capital Sana’a. Though family and friends rejoice at his return, they worry for the many other Yemenis who have been subjected to enforced disappearance, either at the hands of either Houthis or the Saudi-led coalition fighting against them. With more than 35,000 Twitter followers, Al-Omeisy had been actively tweeting and blogging about the humanitarian crisis and violations committed by both warring parties. Prior to his arrest, he had analyzed and spoken about the conflict to international media including the BBC, CNN, Al Jazeera, Deutsche Welle, NPR and TRT World. While in custody, he was unable to communicate with a lawyer or his wife and two young sons. Renowned Pakistani journalist and vocal social media user Taha Siddiqui was attacked in Islamabad by several armed men who attempted to abduct him. Although Siddiqui escaped with no serious injuries, the assailants took his laptop, mobile phone and passport. Siddiqui had been very critical of the military establishment on social media. In May 2017, he was summoned by the counter-terrorism wing of the civilian Federal Investigation Agency and asked to submit his laptop for forensic tests. Siddiqui filed a complaint against the agency, which was upheld by Islamabad High Court. The Philippine Securities and Exchange Commission revoked the license to operate from Rappler, a news and social media site. The January 11 SEC decision asserts that Rappler is “violating the constitutional and statutory Foreign Equity Restriction in Mass Media” for receiving donations from the Omidyar Network, a foundation created by eBay founder Pierre Omidyar. While the Philippine Constitution limits mass media ownership and control to Filipino-owned corporation, it does not prohibit monetary donations from foreign foundations. Rappler is a 100 percent Filipino-owned and managed company. After blocking multiple web services that offer free voice and video calling — including Skype, WhatsApp and Viber — UAE authorities are now stifling residents’ attempts to protest the ban. In late December 2017, Mostafa Amr mounted a petition asking the country’s telecommunications regulator, along with lead telecommunications providers Etisalat and Du, to reinstate VoIP service in the UAE. This week, authorities blocked the web-based platform Change.org, where the petition was hosted. Visiting Chongqing? Watch where you look. The southwestern city of Chongqing, China recently launched a pilot program for facial recognition technology called “Xue Liang”, meaning “Sharp Eyes”. The program combines video surveillance data collected from security cameras on the streets and residential compounds with China’s “Police Cloud”, which contains a vast store of personal data for all Chinese citizens including their identity numbers and machine-readable photographs. In an obligatory report to the Pakistani parliament — which was delayed by nearly a year — the Federal Investigation Agency asked the government to criminalize the use of Bitcoin and make this a punishable, offense under Pakistan’s 2016b Electronic Crimes Act. For about 20 minutes on January 15, a Russian-language Google search of “elections 2018″ resulted in a snapshot of the analogous Wikipedia article, which declared Vladimir Putin the winner of the yet-to-be-held election. This curious error came about thanks to Google’s search result technology, which sometimes features information from Wikipedia or other websites that are likely to answer the user’s query. In this case, Wikipedia’s Russian site had briefly listed Putin as the winner, an error that was resolved shortly after the news went viral on social media. The censorship circumvention tool Psiphon has reported a 20-fold increase in users since protests erupted across Iran at the end of 2017. Hugely popular web platforms and apps including Telegram and Instagram have been periodically blocked since, leaving Iranians suddenly unable to communicate on these platforms without using special tools — like Psiphon — to get around the block. The app now serves eight to ten million daily users from Iran. The Netizen Report is produced by Global Voices Advocacy. Afef Abrougui, Ellery Roberts Biddle, Mohamed ElGohary, Rohith Jyothish, Weiping Li, Karlo Mikhail Mongaya, Karolle Rabarison, and Juke Carolina Rumuat contributed to this report.